When the thought of writing a book about our dog Spud first hit me, I was unclear of what exactly it would be about but I know I wanted it to represent something meaningful and inspirational. 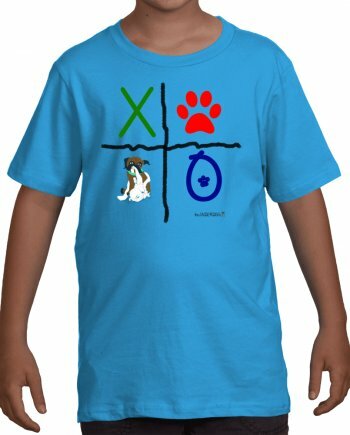 I wanted it to represent a theme that would be relatable to both children and adults alike. Spud was a little Boxer puppy, the runt of a litter of ten. She was the smallest of the litter, the one that all the bigger puppies picked on, the funny looking one with the underbite, the one who wasn’t the pick of the litter when a family was looking for a new puppy, the one who was pushed around at mealtime and could barely get any food, the one who couldn’t get proper nutrition and became sick as a result, she was the one who wasn’t supposed to make it, yet overcame all obstacles that life threw her way. She was the perennial stone that the builder refused who became the head corner stone. There was something very relatable in her life story that would connect with people of all ages. And suddenly it hit me !! She was the underdog who many counted out and she was the only one of the 10 puppies with an underbite. 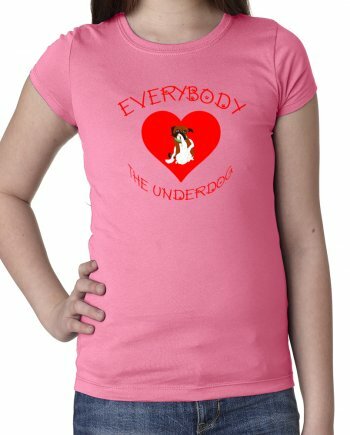 She was The Underdog with The Underbite, and after all, EVERYBODY ❤s THE UNDERDOG !! An underdog story is relatable to most because whether through movies, sports, or our own life experiences, we can relate to the concept of having all the chips stacked against us and through sheer determination and persistence, we overcome any and every obstacle placed before us, regardless of how large or how small. As parents, we have done a good amount of living on this earth and this concept easily resonates with us through the lives we’ve lived. For children relatively new to this thing called life, that concept may not come as easily. In Spud, The Underdog with The Underbite, a little puppy who was able to overcome a barrage of life obstacles, it is my hope that in her life story, kids will find a kindred spirit, a symbol, a representative, a mascot, and an alter ego whose positive energy to channel when life gets tough and an encouraging source of motivational strength is needed. 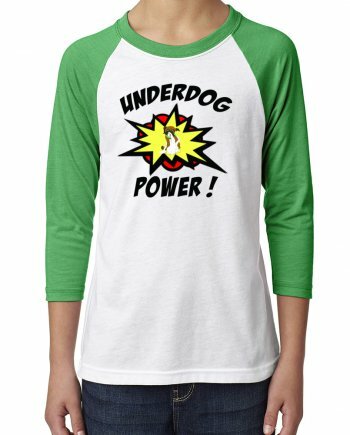 Life will often bring you challenging and difficult circumstances, but The Underdog ALWAYS Overcomes because after all, EVERYBODY ❤s THE UNDERDOG ! !